Hello, kids! My name is Andrew Lansdown and I have written lots of things for you! But before I talk about these writings, let me tell you a bit about myself. I am an Australian. I was born a long time ago in a small town called Pingelly in the south-west of Western Australia and I have lived in WA all of my life. I am married to Susan and we have five adult children and nine grandchildren. Howzat for a family! I began writing when I was 16 years old and I have never stopped since. I write about things I love (family, faith, nature) and about things I imagine (wickles, dragonknives, wrens playing cricket). I like reading books, listening to music, watching movies, thinking about things, going to church, being with my family, sitting in cafes with a book or a friend, growing bamboo, bushwalking, birdwatching and taking photographs. Oh, and I like getting letters from publishers saying they are going to publish something I have written! 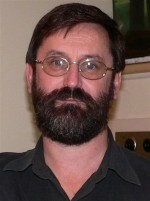 I have worked as a clerk in the public service; a driveway attendant at a petrol station; a cleaner at a hamburger joint; a proofreader at a university; a teacher at several TAFE colleges; an education officer in various prisons; a journalist on a country newspaper; a pastor of two churches; and the editor of a magazine. Alongside all these jobs, I have also worked as a writer. In fact, writing has been a constant part of my life, whatever else I have been doing. I am not sure that I enjoy writing, because it’s such hard work. All those drafts—it’s enough to make you crackers! But somehow I can’t stop. In fact, I get cranky if I don’t write. The best thing about writing is finishing up with something you know is good. The next best thing is finding a publisher who agrees with you! Keep going down this page to find out about the 3 novels and 2 poetry books I have written for children. Click on a book cover or title to learn more about that book. Kids, have you read my three fantasy novels—With My Knife, Dragonfox and The Red Dragon? Together they form a trilogy called The Chronicles of Klarin. Well, kids, why don’t you read my novels and see if you agree with these kids about them? P.S. I’ll let you in on a secret. I didn’t write these novels just for children: I wrote them for adults, too. I tried to write the sort of fantasy novels that I would like to read as an adult. So, truly, kids, these novels are for you; but just as truly they are for your mums and dads, too. These two poems are haiku. The Japanese invented this type of poetry hundreds of years ago. A haiku has only 3 lines and is (usually) only 17 syllables long—with 5 syllables in the first and last lines, and 7 syllables in the middle line. Check out how many syllables my two haiku have. Does one have more than 17 syllables? There is a lot of information about all sorts of poetry, including haiku, in my book Allsorts: Poetry Tricks and Treats. 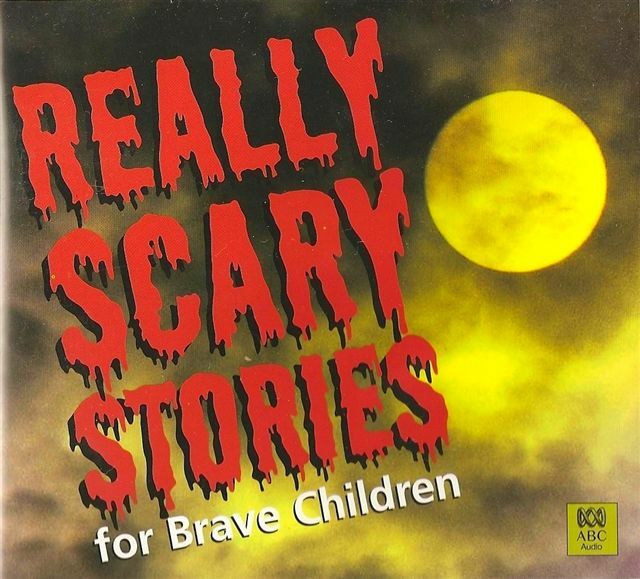 This ABC Audio book contains six short stories written for older children and teenagers by six Australian authors. Andrew’s story, which is slightly condensed for the recording, is “The Room of Light”. The full version of “The Room of Light” is reproduced below. Caitlin thought she heard something when she threw the last net into the dark water. She turned her head quickly as the sound of the splash faded in her ears. Silence. She eyed the bush nervously but everything was still and quiet. The trees were black now, silhouetted against the twilit sky. She looked back at the car to see her father standing blackly against the newly lit gas lamp. The light coming on, and the shape of her father, calmed her somewhat. She began to walk back towards him along the shore. As she drew closer, the light of the lamp threw shadows across the uneven ground, so that she sometimes felt she was about to step into a deep depression. She stumbled several times, misjudging the distance between her feet and the ground. ‘Are they all out, Cait?’ her father asked as she entered the safety of his presence. His voice was muted by the hissing of the lamp. The sky was entirely dark now. Caitlin found several large stones at the edge of the lamplight and brought them back to her father. As Caitlin set off with the light of the gas lamp at her back, her shadow strode ahead of her, long and deep, but it fled away when she turned on the torch. The last time her father had brought her to this cove at the back of the dam, another group of people had been camping on the other side of the feeder river. The lights of their torches and lamp and fire had been a comfort to her—not only because they provided a sense of companionship, but also because they defined the extent of the black water. Tonight, however, there were no other lights. She was alone, the water gaping endlessly at her feet. She shone her torch across it. The beam lay on the surface like a streak of oil but failed to reach the other side. She threw a handful of pellets into the chasm. They sounded like a scattering of gravel as they hit the water. She liked the sound. She counted out ten more steps and threw another handful into the water. They settled on the muddy bottom and showed up whitely in the torchlight. Reaching the place where she had left the last drop-net, she noticed the rope trailing into the water. It was like a boundary mark on the shore, warning her to go no further. If I stay this side of the rope, she thought, I’ll be safe. But she knew she was being silly, and she knew she was being cowardly, so she stepped over the rope and counted ten more paces. She threw the pellets in and heard that scattering sound she liked. She listened intently. After the peppering of the pellets there was only silence. She shone her torch back to see the yellow rope. There it lay, like a dare. She had crossed over it and nothing had happened. Then she decided to test her bravery. To see if she could bear the blackness without panic, she turned the torch off. Immediately the darkness pressed upon her like a living, dangerous thing. Terrified, she cried out. In the aftermath of her cry, in the instant it took her to thrust the torch switch forward with her thumb, a commotion broke out close by. There was an enraged squeal followed by a loud crashing noise, like the sound of a large animal forcing its way furiously through the undergrowth. The light leapt from her torch as her heart leapt from her chest. In the pale circle of light she could see the bushes boiling. She dropped the pellets and ran, stumbling and falling, back to her father. He looked up from the fire. ‘What’s the matter, Caitie?’ he asked, putting the lid on the billy and standing up. He poured a lot of milk in her tea so that she could drink it quickly. He gulped his, even though it was steaming hot. Then they set off. She carried the torch and a bucket. He carried the scoop net. They came to the first bait she had laid. The pellets had softened and gone fluffy, like papier mache, but because the water was barely flowing they had not dispersed. A small marron was feeding on them. Its eyes shone bright red in the torchlight like a pair of tiny coals. ‘Dad!’ she exclaimed, thumping his shoulder. He chuckled and walked on. A large marron, almost as large as a crayfish, was feeding on the second bait. He gently dipped the scoop net into the water behind it. Sensing danger, the marron flicked backwards, right into the wire net, and he whisked it out of the water. ‘Got him!’ he cried. The marron flicked and thrashed about in the basket of the net, almost flipping out. He wasted no time tipping it into the bucket. Caitlin shone the torch on it. They moved on to the first of their four drop-nets. She passed him the torch and reached for the rope. ‘Give it a good yank and keep it moving,’ he said. She hauled on the rope hard and fast. The net rose swiftly through the water until it hung in the air like an ornamental lampshade. Several small marron dropped through the bottom, but there was nothing big in it. She collapsed the two wire hoops together and threw the net out so that it hit the water flat-on. They glimpsed several cobbler feeding on the other baits. The fish rippled away the moment the light touched them. They also saw many small marron. One was so small that it could have been a prawn. With its ruby eyes it looked like something a man might have worn on a tiepin at the turn of the century. But there were no more big marron, either on the laying pellets or in the drop-nets. As they made their way back to the campfire, Caitlin suddenly realised that the animal—or whatever it was—had been completely quiet. She found herself wishing that it would move and make a noise, so that her father could hear it and know she had not imagined it. ‘Are there any dangerous animals in the bush?’ she asked. The billy was boiling vigorously by the time they returned, so they made their drinks straight away. Caitlin looked at the captive marron. It had stopped struggling now and lay quietly in the bottom of the bucket with its tail tucked beneath it. She was glad they had caught it, but she felt sorry for it just the same. She felt safe by the fire, the gas lamp hissing in her ear. It seemed to her that the lamp had made a room—a room whose walls were darkness but whose interior was light. She imagined that so long as she stayed in this room with her father, nothing could harm her. Nothing bad could come into the room of light. ‘What are bunyips like?’ she asked. Standing in the presence of her father and the lamp, she was not frightened by the question at all. Her father stood his mug on a stone by the fire. ‘I didn’t look to see if that marron is carrying any eggs,’ he said, ignoring her remarks and reaching into the bucket. He grabbed the marron expertly and lifted it to the light. As he did so it flicked its tail and several drops of water flew onto the lamp. The thin glass cracked and a shard fell inwards, tearing the delicate mantle. The light went out instantly. ‘Blast it!’ he said, flinging the marron back into the bucket. Caitlin found the torch and switched it on. It looked pale and pathetic compared with the light of the lamp. It does not make a room, she thought, and shuddered. They set off again, but without immediate success. The marron on the baits were undersized. Her father let her have a go at scooping one of the larger ones, but it was too fast for her. When she tried to pull up their second drop-net, she found that it had snagged on a branch under the water. Her father had to rip it free. When he finally pulled it to the surface they found that a long-necked tortoise had got caught in the nylon mesh and drowned. ‘What a night!’ he said as he freed the body and tossed it back into the water. There were two large marron in the fourth drop-net. She could see them flicking about frantically in the torch-lit water as she pulled the net up. She got the net to the surface and the marron were caught. When he put his hand into the net to grab one of the marron, the other one latched onto him. Its powerful claw sliced right into the soft flesh between his finger and thumb. He yelled and tried to shake it free, but it would not let go and he had to tear it away. He cursed and threw it into the bucket roughly. As he did so a noise broke out beside them, loud and furious. He jerked the torch towards the sound and gasped. Caitlin clutched his arm. Something big was thrashing about in the bushes. After a series of hideous squeals, the commotion abruptly ceased. Back at the car he seemed in no hurry to load the equipment, but Caitlin noticed that he did not cut the meat from the drop-nets before packing them into the boot. She ran around the car to the passenger’s side and tugged at the door handle. The door was locked. Dread gripped her as she stood waiting for her father to let her in. Eventually he reached over from the driver’s seat and lifted the latch. She burst into the car and slammed the door behind her. He turned the key in the ignition so that the red lights showed on the dashboard. ‘Hold your breath and hope,’ he joked, switching it all the way. The car started instantly. He shifted into gear, then back into neutral. ‘The fire,’ he said. ‘I forgot to put out the fire.’ It was burning brightly from all the wood he had thrown onto it when the lamp went out. The breeze was fanning the flames and carrying off an occasional spark. ‘Can’t we just leave it?’ she begged. ‘Yes, as long as we’re careful.’ He turned the motor off and stepped from the car. ‘Sit tight. Back in a jiff.’ He shut the door and went to the boot to retrieve the bucket. Caitlin watched him walk towards the river, beyond the reach of the fire’s flickering light. She waited anxiously, eyes and ears straining. The night was so silent, and she was listening so intently, that when a bug hit the windscreen her ears actually twitched with the shock of it. Her heart battered at her ribs like a moth at a lantern. To calm herself, she reached up and switched on the interior light. The darkness retreated from the car. For a moment, in her room of light, she felt almost safe. Then she glimpsed a shape at the edge of the firelight. She turned off the car light to get a better look. She squinted and leant over so that her forehead rested on the door window. Her breath frosted the glass. As she wiped the window the shape moved out of the shadows. It was a wild boar. Caitlin was shocked by the size, the bulk, of it. She had thought that pigs were small, pink animals. But this one was enormous—and black! The boar moved towards the car, its tusks glistening in its snout like ivory daggers. It seemed agitated and kept swinging its head violently, as if trying to slash an imaginary opponent. Caitlin was so afraid that she forgot to breathe. Then she saw her father step out of the blackness, his right shoulder tilted with the weight of the bucket. He kept coming, drawn by the fire he was about to dowse. The boar swung around to face him. Caitlin’s breath exploded from her. She gasped for air, desperate to cry a warning. But the boar moved faster than she could breathe.